Meaning of Shoot for the moon. Even if you miss, you’ll land among the stars Quote by Norman Vincent Peale. 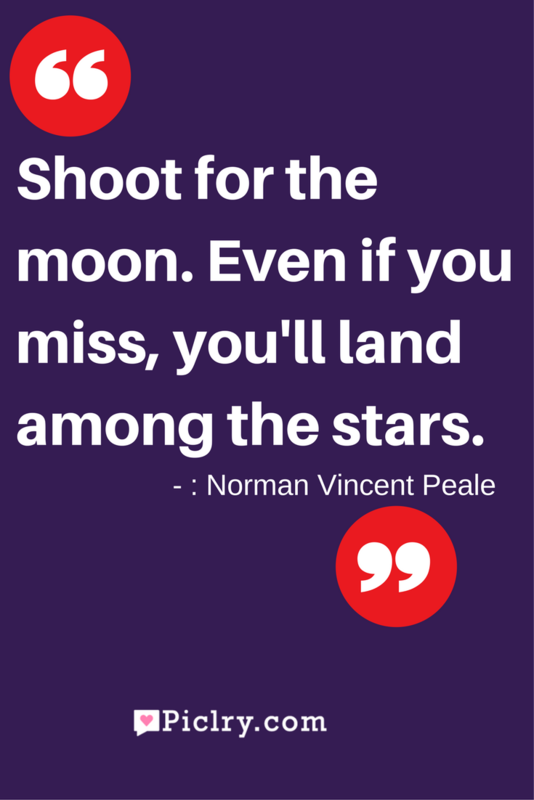 This proverb was given by one of the greatest motivational speaker Norman Vincent Peale. Literally, it is not possible to shoot for the moon and land on the stars as stars are farther away from the moon. But symbolically, it means that we must aim high and for the best. Even if we fail to attain it, we still will have the success that million others also have. Many a times we prepare for the competitions like IAS. Even if, after all the hard work we have put on, we fail to crack the IAS exam, but all the other competitive exams like PCS and the likes seems so easily attainable. Most of us fail because we aim low. These words of wisdom mean to say that each one of us should aim for the best. Even if we fail in obtaining the best, we may still end up with the great.